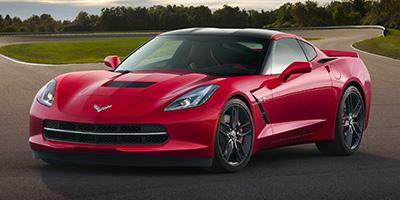 Check out the new Chevrolet Corvette at our dealership, All American Chevrolet of Killeen, near Fort Hood and Temple. With a wide range of easy-to-use driver-assist devices, high quality leather GT seating and flat bottom steering wheel, the interior of this sports car is nothing short of an aircraft cockpit. Crafted and designed to optimize all round performance, the Chevrolet Corvette appears like a spectacular work of art. Raw speed, exciting performance and a sense of excitement and action is precisely what the brand new Chevrolet Corvette pledges. Safety is as vital as any other aspect associated with a vehicle, and hence, by using a light aluminum space frame along with an automatic crash response feature, the Chevrolet Corvette increases its prominence. Contact us at 254-247-3557 for more information on test driving a new Chevrolet Corvette in Killeen.